The Motley Fool Canada » Investing » Is Gold Poised to Reach US$1,400 an Ounce Before the End of 2019? Is Gold Poised to Reach US$1,400 an Ounce Before the End of 2019? Toward the end of 2018 gold rallied sharply peaking at over US$1,343 per ounce before pulling back to be trading at US$1,313 an ounce. This has been a boon for gold miners with many rallying sharply to see the VanEck Vectors Gold Miners ETF rising by 21% for the year to date, which is around seven times greater than gold’s 3% gain. There are signs that despite the yellow metal’s latest pullback, there are further gains ahead, leading to speculation that gold could reach US$1,400 an ounce or more before the end of 2019. This would act as a powerful tailwind for gold miners, especially those like Kirkland Lake Gold Ltd. (TSX:KL)(NYSE:KL) with high-quality low-cost operations and solid balance sheets. Gold is slated as a most dependable safe-haven asset which theoretically shares an inverse correlation with stocks, meaning that as stocks fall it should rise in value. 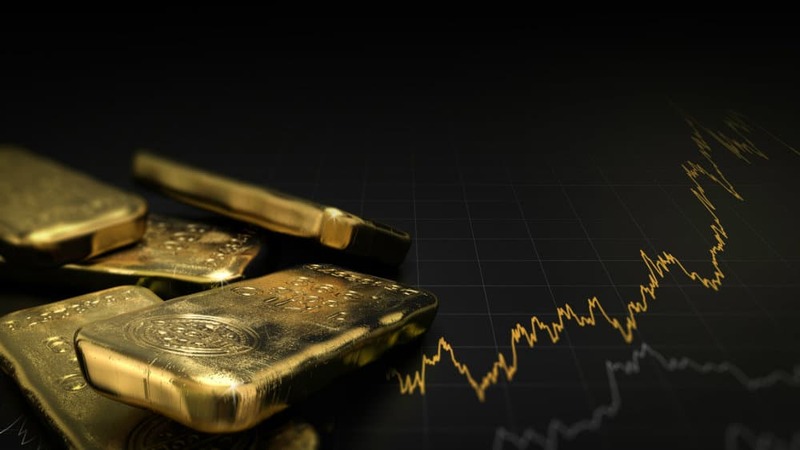 The considerable political and economic uncertainty which currently exists has been a key driver of gold’s rally since the end of 2018. You see, higher gold is essentially a reflection of fear in the market as investors exit stocks to direct their capital to defensive assets to minimize losses triggered by economic and political crises. Growing fears of a recession sparked by poor economic data out of China and sluggish global growth are weighing heavily on stocks and acting as a backstop for gold. Aside from substantial uncertainty globally buoying the price of gold, the more recent dovish stance taken by the Fed has also caused the outlook for the yellow metal to improve. The Fed recently softened its stance on normalizing interest rates, announcing that there will be no rate hikes, signalling that at this time it will refrain from making rate hikes during 2019. This abrupt change in policy can be ascribed to fading economic momentum and resurgent fears of softer than anticipated economic growth. The expansionary monetary policy being employed by the European Central Bank (ECB), a cooling Chinese economy and rising economic uncertainty all point to a looming global slowdown. This is being exacerbated by a range of geopolitical hazards including the worsening crisis in Venezuela, ongoing wrangling over Brexit and the tumultuous trade relationship between China and the U.S. are worsening these concerns. These events have sparked a flight to safety as investors move capital to defensive assets like gold. Not only does a softer approach to interest rates indicate that uncertainty over the economy is growing, making defensive assets more appealing investments, but it also lessens the opportunity cost associated with holding no yielding assets like gold. A dovish approach to rates also indicates that the U.S. dollar could weaken, which is favourable for gold because it becomes more affordable to buy in other currencies increasing its appeal to investors. For these reasons, there is a high likelihood that gold will reach US$1,400 an ounce before the end of 2019. These factors all bode well for gold miners, especially Kirkland Lake Gold, which with 2018 all-in sustaining costs of US$685 per gold ounce sold is among the lowest cost operators in its industry. This can be attributed to its portfolio of high quality developed producing mines Fosterville and Macassa, which for their gold reserves have impressive grades of 31 and 21.9 grams of gold per tonne of ore (g/t), respectively. The quality of Kirkland Lake Gold’s assets saw it announce record 2018 earnings, which were driven by solid production growth, where its gold output rose by 21% year over year to 723,701 ounces, which also beat its annual production guidance of 670,000 gold ounces. This incredible growth will continue into 2019 with Kirkland Lake Gold forecasting production of 740,000 to 800,000 gold ounces, which at its midpoint is 6% higher than 2018. When coupled with firmer gold and falling AISCs, Kirkland Lake Gold’s earnings will expand at a solid clip which, along with the value of its reserves expanding, will further boost its market value. For these reasons, now is the time to buy Kirkland Lake Gold.